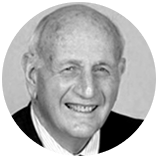 Edward K. Blodnick graduated from Harvard College and received his Juris Doctorate from Columbia Law School in 1957. He is a member of the New York, New Jersey and Florida State Bars and is licensed to practice in New York district courts, as well as the Federal Courts of Appeals and the United States Supreme Court. Mr. Blodnick concentrates his practice in complex corporate litigation and issues surrounding the corporate practice of medicine. Mr. Blodnick has an AV® Preeminent™ rating (5.0 out of 5.0) with Martindale-Hubbell, which is the highest rating an attorney can obtain. Martindale-Hubbell is a peer review process that rates lawyers. Such a rating indicates that Mr. Blodnick has been recognized by other attorneys for possessing the highest levels of skill and integrity.